Hi friends, I'm Gyan Ranjan with a blog about live cricket score and highlights of T20 ODI IPL and Test matches. Love story vs India special news of health and education. Technology to make SEO friendly blog, get backlinks, increase traffic and earn money. I am Gyan Ranjan in Learn computer tutorial. In this post I will describe, about the use of PowerPoint, history of MS PowerPoint, special useful features, and benefits of PowerPoint in detail. History, Use, and Developer of MS PowerPoint. MS PowerPoint, full name of which is 'Microsoft PowerPoint' and also known as 'PowerPoint', is a program, which can be used in Slides format with some multimedia features such as photo and voice open, create, edit, formatting, present, share and print. MS PowerPoint has been developed by Microsoft, MS PowerPoint is a part of Microsoft Office. You can also view it by opening MS PowerPoint in your computer. How to open MS PowerPoint? This is done on Windows 7. That's why the method can be explained here. This is something different in your computer. Let's tell you that this difference, which version of you is being used, is discussed. The way that is being taught in this. It is almost the same in every version of Windows. So you can not worry too much, just a little different in appearance. Let's study ways to open MS PowerPoint one by one below. This method is very easy and easy to go. And most of the computers in this manner are open to their liking software. With this method we can open "MS PowerPoint" with just four clicks. Let's also learn how to open MS PowerPoint in this way. 1 . First click on "Windows Start Button". You will find this in the lower left corner of your computer window. The appearance of this button depends on the device of your operating system, because the appearance of this button is different in every version of "Windows". 2 . After this you have to click on "All Program" which is displayed below with the green arrow in the 'Menu Bar' below you. It comes to you after clicking on the menu "Windows Start Button". 3 . Click on "All Programs" to find "Microsoft Office" from the "Menu Bar" and click on it. 4 . After clicking on "Microsoft Office", you have to click on "Microsoft Office PowerPoint" from the "Menu Bar" that comes in front of you. 5 . After clicking "PowerPoint" "MS PowerPoint" will open in front of you. Now you have a window in front of PowerPoint. 1 . First click on "Windows Start Button". 2 . Then you have to type 'Powerpoint' or 'POWERPOINT' in the "Windows Search Box". 3 . After this you press the "Enter" button and "MS PowerPoint" is open in front of you. 2 . After pressing this shortcut, this type of window will open in front of you. 3 . This is the 'Run Box' of the window. In its search box you have to write "powerpnt" or "POWERPNT". Remember that here 'powerpnt' or 'POWERPNT' has been written, it is to write hoo-bhu, it does not have to provide space. 4 . After that click on the 'OK' button with the mouse or press the "Enter" button from the key board and you will open "MS PowerPoint" in front of you. This method is the smallest and easy. You only have to make one click and "MS PowerPoint" will open in front of you. Let's study this method. 2 . When you see it, take 'Mouse' on it and you will see that it is surrounded by a class.Now on this icon you will quickly press the left mouse button of your mouse twice (double-click), then 'MS PowerPoint' will be opened. 3 . If you have pinned 'MS PowerPoint' to 'Task Bar' you can open 'MS PowerPoint' by clicking on the 'MS PowerPoint' icon. This office button works the same way in MS exal, MS Word, and MS Power Point. Therefore, there is no need to learn how to use Office Button in three programs separately. We will give you information about some changes in this. Open Command is used to see a pre-prepared Document (in MS Word) Spreadsheet (in MS Excel) Presentation (in MS PowerPoint) in Office . You can not just open Office Documents but you can also open some files of Notepad and WordPad .You can also use Open Command from its keyboard shortcut Ctrl + O. The Keyboard Shortcut of Ctrl + S is. Save Command is used to save Office Documents. Or to save any file , after clicking on Save , a Save AS DialogBox will appear in front of you. From here you can choose the place to save your file, give the name of the file and click Save. And your file will be saved. With Save as Command, you can save the Save Office document in another file name or document format very easily. Print command lets you print the finished Office document. In addition to this, you can see the Office Document from the Print Preview before printing. If you find any deficiency, then you can fix it before you can print it. Office Document Keyboard Shortcut can also print Ctrl + P. This is how you now know how to print. 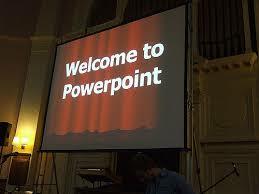 First of all you have to open MS power point after opening MS PowerPoint and any Slide / Presentation in it. Want to print, open it in MS PowerPoint. Now you have to click Print from here . This will open the MS PowerPoint Print Dialog Box in front of you. From here you can print the necessary MS PowerPoint File by making the necessary changes . You may press on keyboard The CTRL +P it will also open MS PowerPoint Print Dialog Box. If you want to print the PowerPoint document without opening the Print Dialog Box, then click on the Aero in front of Print Button .Now a few other options of Print will open in front of you. From here you click on Quick Print . Your Presentation or Slide Direct Print will now start. Prepare Command by You Office Document can view and edit properties (Title, Author Name, Subject, etc.) in Presentation (in MS PowerPoint), in Spreadsheet(MS Excel) in (MS Word). In this, Password Set can be secured. If you have Digital Signature, you can add it from here to Document / Spreadsheet / Presentation. Apart from this, you can check the Compatibility of Document / Spreadsheet / Presentation with previous versions of Office. Spreadsheet in Office Document ( MS Word) in MS Excel Presentation Email by the Command in MS PowerPoint can send as Message, Email Attachment, and Fax. Use this command in the Office document (MS Word) Spreadsheet (in MS Excel) Presentation (in MS PowerPoint) to Direct Publish from Office Programs only. Close the command by using Spreadsheet in the Document (MS Word) you can turn off the (in MS Excel) Presentation (in MS PowerPoint). When you click on this command, Office programs are not closed, but the Open Current Document closes in them. Apart from these, there are two more commands in the Office Button Menu. Which you can see at the bottom right of the Office Button. These are the first Command options . In Word Options in Excel in PowerPoint, PowerPoint Options would have called. There are several options related to each program. And the other is Command Exit . With this command you come out of the current Open Office Programs. And that program stops. It's just right next to the Command Options command.